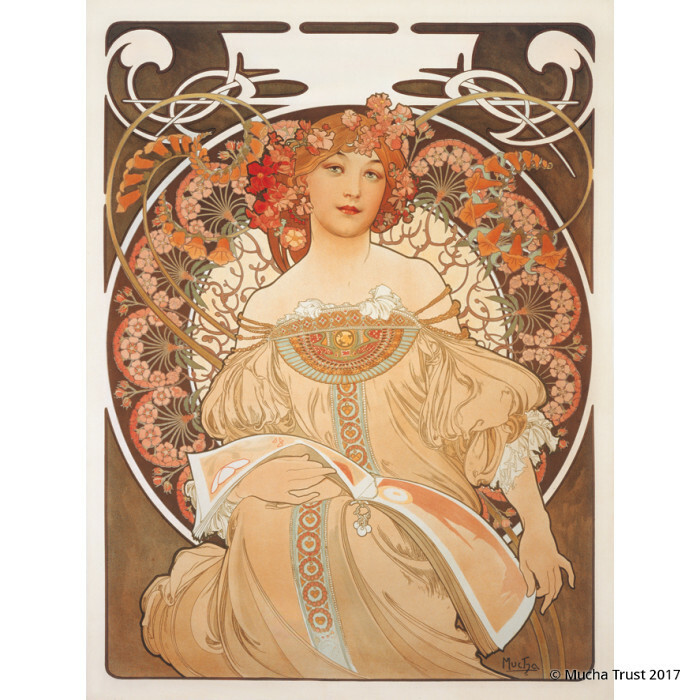 Like Zodiac, this lithograph was originally designed to serve as the 1898 Champenois company calendar. However, its immediate popularity led to its swift publication by the magazine La Plume as a decorative panel with the title Reverie (daydream). 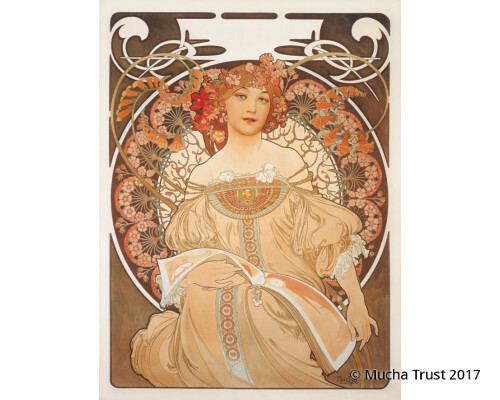 Mucha's design shows a dreamy-eyed young woman leafing through a book of decorative designs, possibly printers' samples. The prominent disk behind her is elaborately decorated with flowers and their stems forming a lace-like pattern.